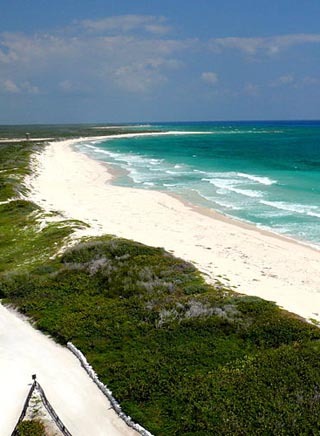 In simple terms, travelers love Cozumel as it is warm throughout the year. The average high temperatures are just about 27°C (80°F), with mostly cooler days (high's near 70°F) November through January. Typically, Spring is a perfect time to visit as temps are most pleasant with very little rain. The Summer months are hot, and afternoon showers are common. The island is subject to hurricane damage July through November, but because of modern weather forecasts advance warnings solve any problem.